Warning! You are about to be hit with some major designer updates! This beautiful home in Colorado was in need of some updating and Corinne Ekle was the designer to do it! The two areas of focus for this home was the family room and the bedroom. In the family room, it all began with an idea to get new sofas to refresh the space. A few months later, the space was transformed into a stylish retreat! Two custom sofas, one apartment size, the other standard, was covered in a light ecru to neutralize the space. 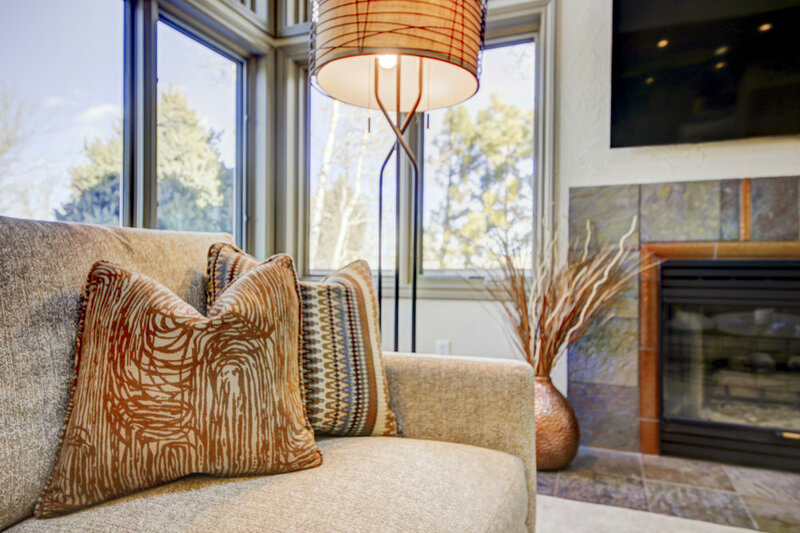 Throw pillows were created to pull in the colors from the kitchen granite countertops as it is an open floor plan. A leather chair caps off the corner creating a nice conversational space. Add some extra lighting and modern accessories and you have a completely redesigned living room! The goal for this bedroom was to bring the dark and dated decor into the light. The client wanted to incorporate their honey colored furniture into the new modern design. Bedrooms offer a lot of potential to change up the style without touching the furniture. Starting with the walls, a light greige color was the perfect transition into the new. Custom bedding fabrics from Kravet were chosen in creams, light grey, and cognac colors. They really bring out the beauty and uniqueness of the headboard. 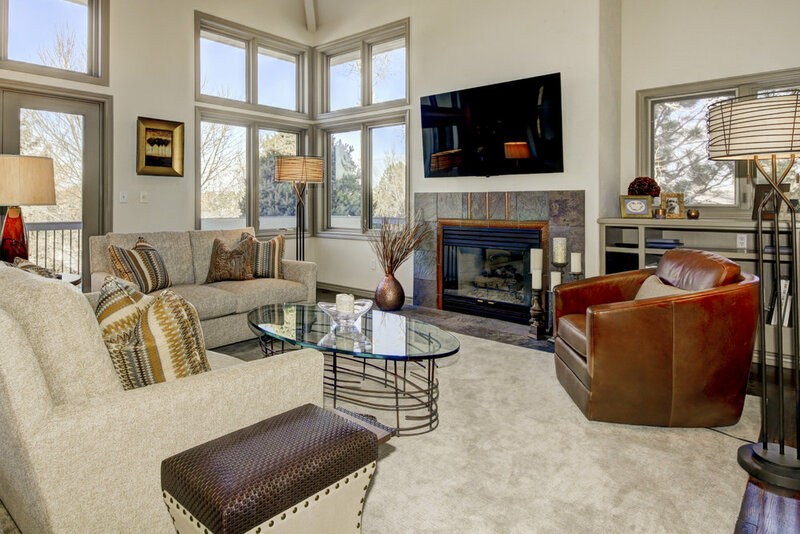 Custom drapery panels add subtle attention to the gorgeous windows (and priceless Colorado views!). The trick in this room was to hang these curtain panels from the ceiling to highlight the high angled ceilings. Lastly, a crushed velvet swivel chair creates a sacred space for the homeowners. It was a pleasure working with such an amazing family and to help them create their own private retreat in their home!